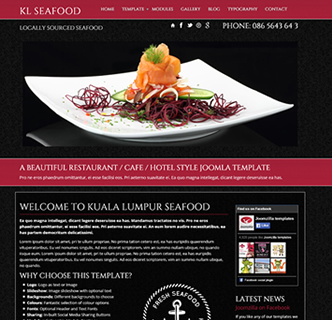 KL Seafood is an elegant and beautiful restaurant style Joomla template that also works for image conscious business sectors such as salons, hotels or hairdressing. 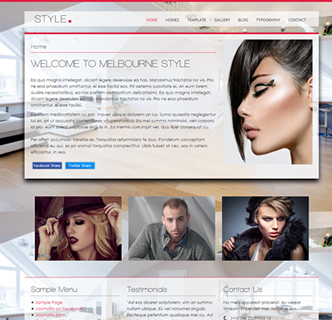 This beautiful template has a complete range of customization options, backgrounds, fonts, colours and logo type. The module positions are collapsible meaning they expand or decrease in size depending on the surrounding modules. 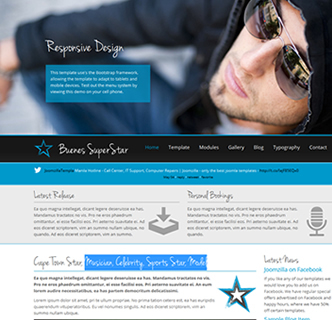 The template uses the Twitter Bootstrap framework. You have multiple social media tools such as links to your favorite sites and sharing buttons. 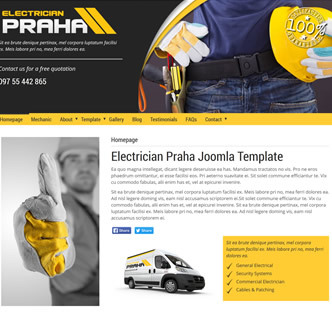 This Joomla templates uses a minimal amount of extensions, only 2 in total which are both included in the template package. There is a quickstart packages included and a comprehensive user manual. 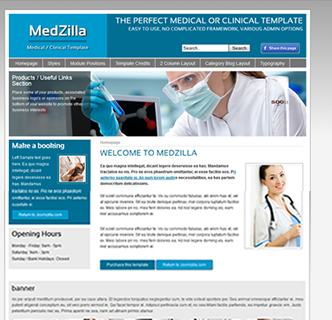 The module positions and titles make it easy to understand and use this stunning template. 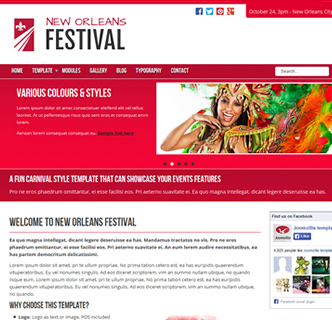 A responsive Joomla template with a showcase that stands out, introducing New Orleans Festival. The perfect Joomla template for your event, festival or concert that offers the best in ease of use and professionalism. You can use an image slideshow or showcase content from you Joomla articles in the slider position at the top. There is also a module position "logoRight" where you can place your sponsors logo or link to your sponsors website. The template comes in an excellent array of colours and styles, and there are modules set for fading images until hovered. There are also modules at the top of the page for breadcrumbs and additional menus. You can also make use of an expertly placed search button on the navigation menu. 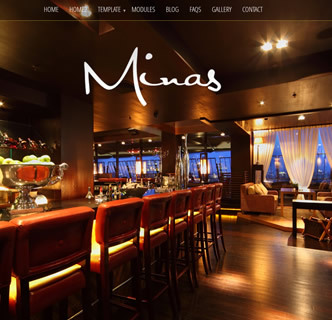 As with many of our templates this Joomla theme works best across all devices,as its a bootstrapped and responsive layout. It comes with a user manual and issimple to work with, featuring easy to understand module positions and a quickstart package. The best Joomla template for IT support offices, computer repairs, call center or hotlines. This template was built to showcase content in an appealing and excellent fashion. 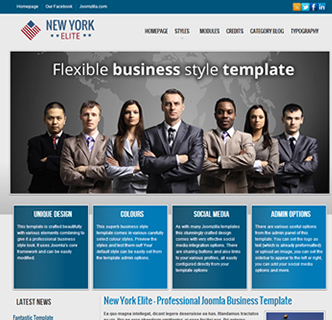 The template comes with 2 different main navigation menu modules in case you need a full screen solution, various colour options, collapsible module positions, various font options and excellent social media integration such as sharing buttons and links to your favorite social media sites. 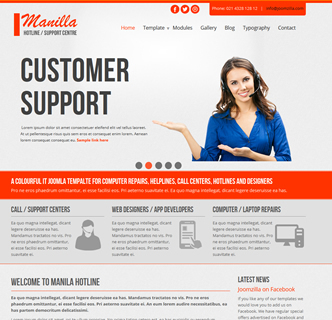 Manila Hotline is is responsive design so test it on your mobile phone or resize your browser. 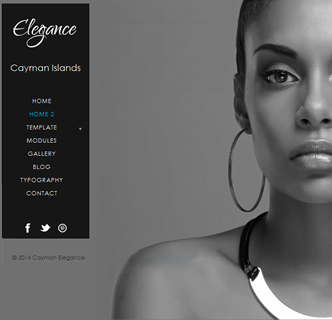 On top of being an excellent responsive design with the best features the template uses the twitter bootstrap framework allowing you to use some of Bootstrap inbuilt features.